Case Study: Visa refused due to Public Interest Criteria and a 3-Year Ban? Suppose a client has given the Department of Home Affairs information that is false or misleading? How do you go about proving that there are “compassionate or compelling circumstances that affect the interests of an Australian citizen, permanent resident, or eligible New Zealand citizen” that justify granting the visa in question? In this case, the applicant applied for a Subclass 600 Visitor Visa to allow her to visit her fiancé in Australia. The visa was refused because the delegate was not satisfied that the applicant met Public Interest Criterion (PIC) 4020, subclause 4020(1), on the basis that the applicant failed to inform the Department of Home Affairs that she was excluded from another country for a period of 5 years. As a result, the Department issued the applicant with a three year ban to Australia. Acting on the advice of AHWC Immigration Law, the applicant lodged an application for a Prospective Marriage visa – Subclass 300, sponsored by her fiancé, who is an Australian citizen. The couple provided evidence accompanying the visa application to demonstrate that they have shared their life financially, socially, physically and emotionally to the exclusion of all others throughout this period. AHWC Immigration Law was then instructed to assist the applicant with a submission to overcome PIC 4020. AHWC Immigration Law submitted that there were compassionate and compelling reasons to justify the waiver of PIC 4020 sanctions, arising out of the enduring emotional bonds that were present in the genuine partner relationship between the sponsor and applicant. AHWC Immigration law submitted, that in the event of the applicant being unable to travel to Australia, she would suffer significant psychological hardship and her fiancé would suffer significant psychological and professional hardship, as he would have no choice but to move countries. In forcing the applicant and sponsor apart for an extended period of time because of the 4020 sanctions was devastating for the sponsor, who had already experienced psychological trauma due to the applicant’s serious health issues, the applicant’s visitor visa refusal, the uncertainty of the visa application, and the involuntary separation from the applicant. This took a huge emotional toll on the sponsor as he couldn’t be by the applicant’s side, but strengthened their close relationship and dependency on each other even further. It’s important to note, that the above case was consistent with the decision of the Federal Circuit Court, Singh v Minister for Immigration and Anor (2017) FCCA 2461. In Singh, it was held that the nature and extent of emotional attachment between parties to a relationship must not be excluded when determining whether there are compassionate or compelling circumstances. The court held that there is nothing in PIC 4020 to suggest that a decision-maker may ignore the nature and extent of the bond and that it was unreasonable to discount relationship bonds when considering the existence of compelling and compassionate circumstances, simply because in a partner visa application such bonds were expected. In fact, Judge Manousaridis ruled that the proper approach to be followed in PIC 4020 cases is for the decision-maker to assess whether the separation from a spouse or partner would cause the Australian citizen/permanent resident/eligible New Zealand citizen sponsor suffering or distress, and whether the degree of suffering or distress would justify the grant of the visa. There is no doubt that both the sponsor and the applicant were in a state of distress for the reasons outlined above, which were sufficient to be considered compassionate and compelling in the manner that Singh envisaged. In this case, an Australian citizen suffered a great deal of distress which meets the test of what is considered compassionate as laid down in Singh. Indeed, AHWC Immigration Law was able to prove that there was no doubt that the sponsor’s psychological health was compromised because of the couple’s current situation and the ongoing separation and uncertainty. These circumstances were so powerful that they lead the Minister to make a positive finding that the prohibition contained in Regulation 1.20J (1) should be waived and PIC 4020(4) is satisfied. In this case, the couple’s emotional attachment was obvious and undeniable, and of itself formed a compassionate circumstance that should be taken into account in waiving PIC 4020. In doing so, the applicant otherwise met all the requirements for the grant of the Prospective Marriage Visa. PIC 4020 is a significant hurdle to overcome at any level and the team AHWC Immigration Law are very experienced and have achieved a high rate of success in these matters. 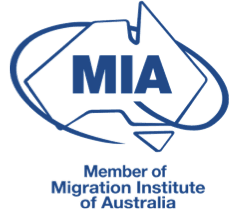 If you are currently in the middle of a complex immigration law matter and are wanting some expert legal advice on how to successfully obtain your Australian visa, we deal with a huge range of difficult cases each year. Please Book A Consultation and speak to one of our migration agents or immigration lawyers and we can help to alleviate the stress and confusion of securing your visa!